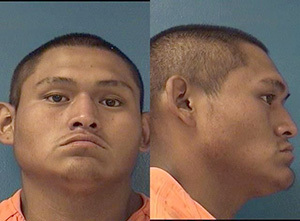 A Church Rock man is facing multiple charges in connection with the theft of numerous tools from a Gallup nursery. Tristan Peterson, 19, has been charged with burglary of a structure, criminal damage to property, tampering with evidence, larceny and conspiracy. The charges stem from the theft of numerous tools from Holiday Nursery, 204 Valley View Rd., on May 28. John Kilgore, the owner of the nursery, said among the items that were stolen were leaf blowers, two chainsaws and two tool boxes filled with tools. A week later, on June 6, Kilgore called police and reported that someone was trying to sell him a climbing harness. When he looked at it closely, he saw it had Holiday Nursery written on it and recognized it as one of the items that had been stolen the week before. He didn’t buy the item, and also didn’t tell the man that he was trying to sell him something that had been stolen from him. He said he saw the man walk over to the Lariat Motel, 1105 E. Highway 66 and enter one of the rooms. Gallup Police Officer Tashima Wilson was dispatched to the motel and found three people in the room, all of whom were detained and taken to police headquarters for questioning. A search of the room uncovered a number of tools, some of which had Holiday Nursery written on them. Dalton Goodman, who rented the room, agreed to allow the search. Kilgore came over and identified the items as being taken from his business. He also identified Goodman as the man who tried to sell the climbing harness to him. Charmaine Willie, one of the three persons detained by police, said during an interview that a man she knew as Tristan came by about 3 am one morning with some tools and a leaf blower. He left and came back about 45 minutes later with more tools, she said. She told police she knew the items had been stolen, adding that she advised Goodman of this and urged him to get rid of the items. Goodman, during his interview, said that a man and woman brought the items to his motel room. He said the man was named Tristan who asked him to keep them in his room. He agreed and placed them under his bed. He also told police that the items may have been stolen and that he knew that. 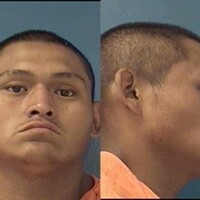 He was detained on possession of stolen property charges and Peterson was picked up a couple of days later and charged.